What is the most important thing I should know about web projects? They will take significantly longer than you think. Whatever estimate you think it will take to complete the project, triple it. Let us use our combined 15+ years web experience to help you estimate a realistic timeline for your project. We have seen and done it all and nearly every time we communicate a timeline, the project owner is surprised. Remember, yours won’t be the only project we are working on. We are juggling a lot of projects at any one time with limited resources. We cannot provide a timeline for your project in isolation. We are not trying to delay getting your site launched. We simply want to provide you with the most realistic timeline for success. What makes a good web project? Be a project that aligns with the school priorities as outlined in the Cummings 2020 Strategic Plan. Have a strong commitment by the project owners to be available and adhere to deadlines defined in the project kickoff meeting. Missed deadlines could mean your project gets moved to the NEXT grant cycle and is subject to re-submission. Be of reasonable size to be realistically completed within an academic year along with other school priority web projects. What kinds of projects are likely to be accepted in the Web Grant Program? 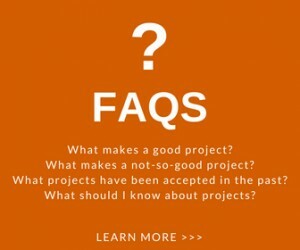 What kinds of projects are not likely to be accepted in the Web Grant Program? Websites that require content to be restricted in any way – whether through login or password protection. All websites developed by the Marketing Department must be 100% visible to the public (i.e., the entire world). Websites that are hosted on non-Tufts servers (e.g., blogs and websites hosted commercially or at other schools). Websites that require any sort of acceptance of payments. Anyone wishing to create a website that processes payment of any kind should reach out to TTS and the team that provides the only approved payment gateway at Tufts – TouchNet. Marketing is unable to assist with TouchNet websites. Websites that require complex functionality or user-submitted content (e.g., forums or comments on posts). Websites whose audience is internal. Are there other resources at Tufts available to me for creating a website? There are some self-service options available at Tufts which are outlined below but there are no services available outside the Web Grant Program that will project manage, write, and create your website. The self-service options are designed for faculty and staff to work on them independently. Several groups have taken advantage of self-service technology and have achieved desired results. Tufts WordPress Blogs and Websites – In a matter of moments, using the Quick Start Guide, you could have a website up and running on a Tufts server. Using your Tufts username and password, you can set up a website, grant people access to the site, restrict access to the Tufts community and more. This option works very well for individual faculty initiatives and projects including lab websites and project initiatives. Trunk – When you need to create a website for a small group such as a class or project, Trunk is a collaborative learning environment that provides a platform for course content, project sites, portfolios, and course evaluations. Tufts Projects -TuftsProjects enables university personnel to track and manage work and projects through a suite of apps developed by TeamDynamix. It offers a wide variety of functionality including project management, portfolio management, service request forms, resource management, time tracking and reporting. And many more. See the TTS website for a complete list of available technology services.